Paul Thomas who had spent two decades abroad, staying in apartments, was aspiring to build an independent home on his own land back in Trivandrum…and not settle down in a standardized skyscraper residential block. Gopalakrishnan and his wife, having stayed in government quarters, and now a few years away from retirement, wanted their own dreams and designs to be translated into a wonderful home in Trivandrum for their family. Rahul and Anita wanted to gift an independent house to their ageing parents, with a provision to rent out a portion of the house, so that their parents had some company and a sense of security. They wanted every space of their future home to imbibe the aspirations & comforts of all who would live in it. Ashraf who spent most of his years in the gulf pined for a customised house which was a blend of the best local practices of house construction, and the luxuries that he enjoyed in his gulf villa. Susan was a high flying banker traversing continents. But deep within she wanted to be a writer. So she had planned to mix her vocation with fiction by taking sabbaticals by retreating into her fiction cocoon to churn out books. So she was keen to build a quiet and quaint Independent customised home, where she could also conduct Writing Workshops for curious minds. Mansions was started by two engineer-friends who passed out together from CET 30 years ago. 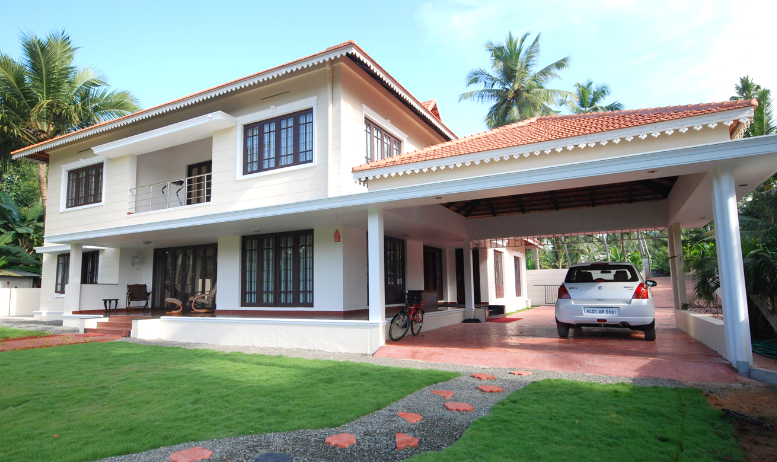 In fact, for its size, Mansions is one of the few realtor firms in Trivandrum, with 5 senior CET engineers on its rolls—backed by a competent team of experienced professionals in the construction business. “Kalluedilil to paalukachal”; and all the way from pre-home to post-stay phase. Customers come to Mansions for a total solutions package–to build, not just a home…but build a relationship for a lifetime. Have Land? Explore Opportunities as a JV Partner! Sahakarana Road, Vyttila, Kochi – 682019.